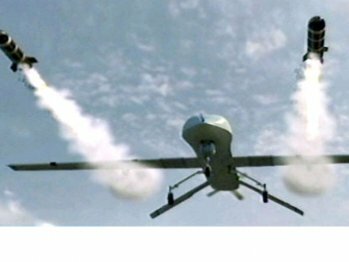 At least 20 suspected militants were killed Saturday in a United States drone strike in Afghanistan’s Nangarhar province close to the zero line near Pakistan’s Khyber tribal region. Security sources said those killed belonged to the militant Islamic State (IS) group in Afghanistan. They were killed when the drone targeted suspected militant hideouts in Nangarhar’s Achin district. Several suspected insurgent compounds were also destroyed in the attack. Afghanistan’s eastern Nangarhar province borders the Khyber Agency in Pakistan’s Federally Administered Tribal Areas. Security officials have in the past warned against IS gaining a foothold in Afghanistan’s eastern region, where the group reportedly murdered tribal elders, clashed with the rival Taliban, imprisoned families and enforced strict rules on women. Afghanistan does not provide a natural constituency from which IS can recruit, meaning the group relies heavily on defections from existing insurgent outfits. Backed by US drone strikes, Afghan security forces last year mobilised and eliminated multiple IS leaders along with dozens, if not hundreds, of militants.